His 1991 album plus bonus tracks. Let's forget at this point that Achim Reichel started his career in 1962 in the 'Star-Club' with the Rattles, probably the most successful German beat band. Instead, this is about Reichel's search for the roots of German culture. 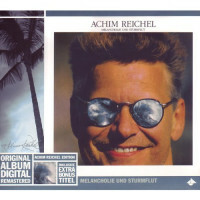 Poetry and music' is an old theme for Achim Reichel. Born in St. Pauli in 1944 as the son of a sailor, the artist began building a bridge between German versculture and rock music more than 25 years ago. At first he became a mentor of the group Ougenweide and fell for old German lyrics and melodies. 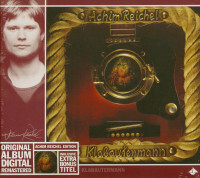 After 'Dat Shanty-Alb'm' (1976) and 'Klabautermann' (1977) with classical sailor songs, Achim Reichel then set about working on German poetry in his own way. In 1978 he set to music texts by Theodor Fontane (Herr von Ribbeck auf Ribbeck im Havelland), Christian Morgenstern, Joachim Ringelnatz and Johann Wolfgang von Goethe (Der Zauberlehrling). 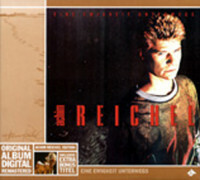 With his album 'Regenballade' Reichel didn't only get praise. "At that time, however, I still had to let myself be looked at in a weird way," he remembers. "According to the motto, 'May we do such music to our poets?'" Nevertheless, the record became a real long runner for Reichel. But the decisive moment for the Hamburg musician to deal with old German lyrics came after he had read Detlev von Liliencron's 'Pidder Lüng': "I really thought: What, something like that can also be poetry? That's interesting. That's a language that's so direct and frontal ... and so hits the twelve. There is so nothing with poetic paraphrase and what the poet is talking about here and so ... that is simply straightforward and linguistically brilliant all around. That's when I got interested in old ballads. In the old days at school we used to have these things just knocked around our ears to learn them by heart. And if you could say that somehow without hurrying, then you got a good grade, but you didn't really know what you were saying. The ollen Ribbeck, we actually had to learn him somehow earlier, also 'John Maynard'" ('Folker! ', issue 2/2004). 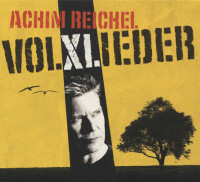 After his excursions into the world of contemporary poetry (including Jörg Fauser, Kiev Stingl, Jürgen Theobaldy) with albums such as 'Ungeschminkt', 'Blues in Blond' and 'Nachtexpress', Reichel has twice again picked up on old ballads in recent years. Four years ago this was continued on the CD 'Wilder Wassermann' with texts by Heine, Mörike, Storm and Goethe, among others, to whom he gave a fashionable musical dress - the English fiddler Peter Sage and the multi-instrumentalist Frank Wulff from old Ougenweide days contributed to this. Wulff and Sage are also back at the Hamburg musician's latest attempt to find fresh access to the almost inexhaustible supply of German songs, the album 'Volxlieder' released at the end of 2006. 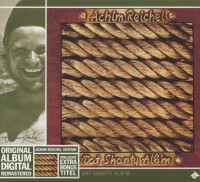 Customer evaluation for "Melancholie und Sturmflut (CD)"